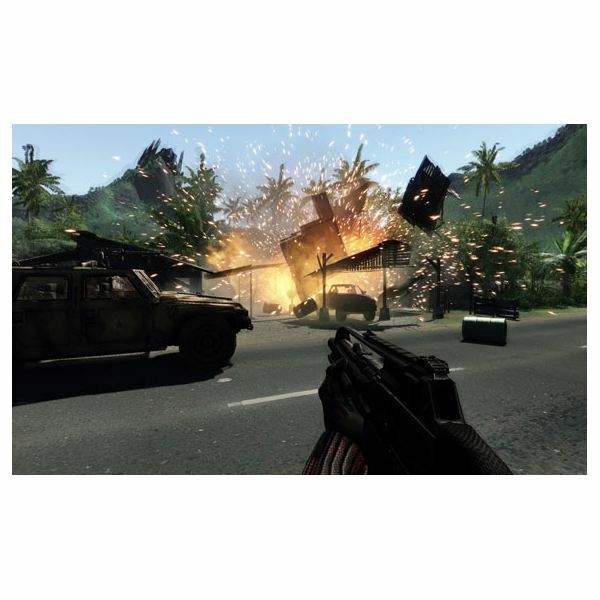 Crysis is a wonderful first person shooter game for the Windows PC, but make sure you have a hearty computer before you try running it. This game comes from the same team who developed Far Cry, and the gameplay and difficulty are somewhat similar in that you must formulate strategies for each scenario, as opposed to running in with your guns blazing. In short, it’s a thinking person’s shooting game. In this game, you play a soldier who wears a full body suit that enhances many of his abilities. You can run faster and jump higher than any human, plus you have a lot of bells and whistles that help you spot enemies from afar as well as take them out. You spend most of the game searching an island and find some weird happenings, including some type of alien life force. I felt like the movie Predator and the TV show Lost probably had some influence on the story, and it was very entertaining. My favorite aspect of this game is the way the levels are designed. 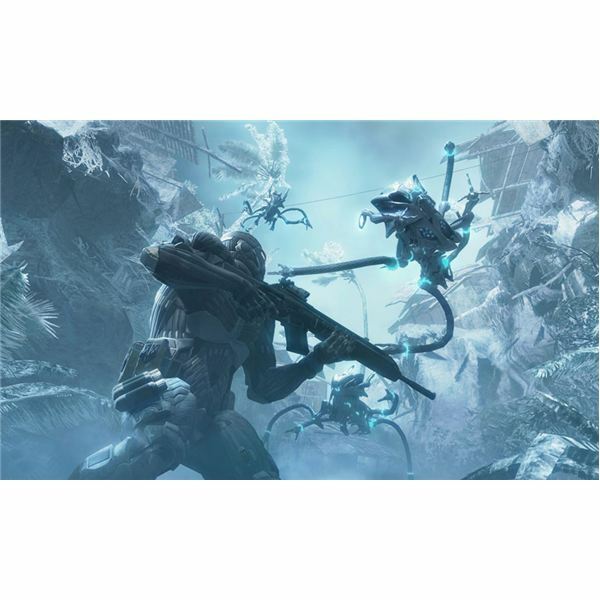 Instead of having to run through tunnels like Doom 3 or be forced to stay within a tight little area like a Medal of Honor game, Crysis gives you plenty of wide open space where you can decide your best approach. This means you should save the game often, as your strategy often backfires until you find the best way into a heavily armed area. I much prefer coming up with my own strategic attack plans than being forced down some linear path and participating in a pre-programmed shooting gallery. The AI in this game is pretty smart, but I like to throw it off by sniping enemy soldiers with a silenced rifle. When enemy soldiers don’t know where a shot came from, they’ll duck and look around. It’s kind of funny to watch. In the heat of battle, soldiers will come after you some, but they will also seek cover. Not only do you have to keep your eyes peeled, but you need to turn your speakers up to listen for audio clues. The enemy soldiers tend to shout back and forth to each other when they spot you, so if you hear somebody yelling you better seek cover or start shooting. Your soldier will have a wide variety of weapons available, though ammo for the really good ones will be limited. Although I have come close to running out of ammo during a couple of heavy encounters, I was always able to find a stash somewhere, or I could just steal it from the enemy soldiers I killed. In most of the big gunfights, you’ll find stuff laying around that will blow up, and this can be used to take out many at once. In one part, you can actually blow up a gas station, but make sure you aren’t standing too close or you’ll get blown up, too. The graphics in Crysis are really great and the environments are quite realistic. When you are walking through thick underbrush, the foliage is represented in a fairly realistic way in that you can still see through them a little, but they also provide excellent cover. A big part of your survival in the game depends on your ability to spot enemy soldiers from afar, because close quarters combat isn’t recommended unless you are just fighting one or two enemy soldiers. With a scope and/or binoculars, you can locate the bad guys before they see you, although picking them off from long distances can be tough. I have not had much luck playing this game online, and that’s a shame. The times I did try, the game crashed on me once, and other times I just couldn’t find anyone playing. I searched around online for some message boards related to the game, and it just seems like not too many people are playing Crysis online. I still enjoy my marathon Call of Duty 4 sessions on the PC, but I was really hoping to play this one online, too. The system requirements on this game are so tough that it has spawned an online term about PC hardware configurations. To say ‘it can run Crysis’ has sort of become a benchmark among computer nerds, as it seems to be the main dividing line between a good gaming PC and a great one. I’m running an AMD 64 x2 5000+ system with 3 gigs of RAM and a GeForce 8600 GT card, and the game runs pretty smooth until I get to some cut scenes, then it gets choppy. As with all first person shooter type games, it really helps to have a good video card to run them. Because of some stability issues, as well as a general lack of multiplayer game sessions available, I recommend Crysis with reservations. The single player portion of the game is a truly awesome experience, but it’s the multiplayer part of these type games that keeps gamers coming back, and that’s where this game loses. Simply put, Crysis is fun, but not as much fun as Call of Duty 4: Modern Warfare. On a side note, I recently read that the developer, Crytek, has decided to give up on developing PC games because of rampant online piracy with this game. Instead, they have chosen to focus on console systems, which are much more difficult to pirate. This could explain the lack of support for future patches and updates. 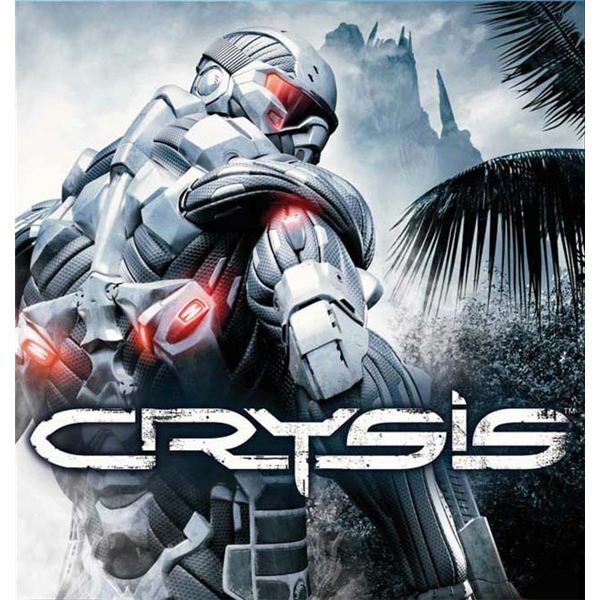 However, a standalone mission pack called Crysis: Warhead was released just recently.